Haunted Halls: Nightmare Dwellers is rated 3.8 out of 5 by 37. Rated 5 out of 5 by danichar from Very different & fun! This game had a very wacky side to it which I loved. 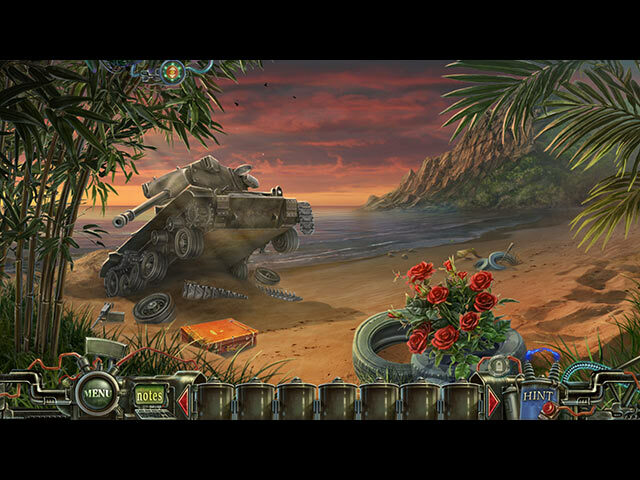 It differed greatly from the usual hidden object games. It's sort of like playing a game developed by the Mad Hatter! Rated 5 out of 5 by bessiegirl from I don't understand the negative reviews; this was great! I've played all of the Haunted Halls series and this has to be my favorite. The developers must have had a ball designing this one. 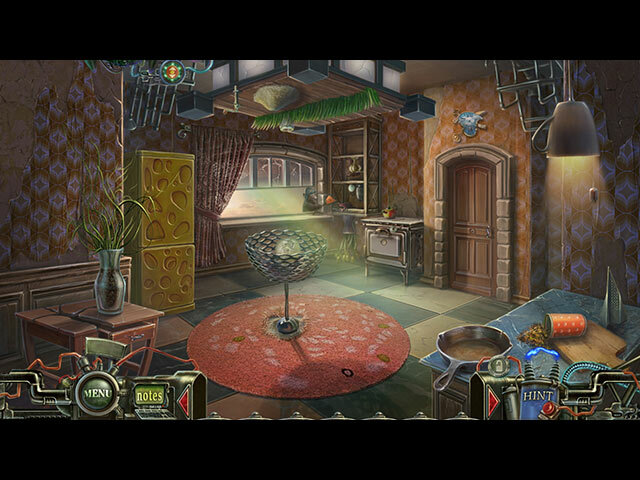 I stand all amazed at the imagination and humor which went into this game and it made it so much fun, compared with the somewhat depressing storyline of the other Haunted Hall games. I totally enjoyed playing this game and had a smile on my face most of the time. HOS were easy and somewhat interactive which allowed the game to move along smoothly. Puzzles were fun and inventive and could be a challenge at times, but not to the point of frustration. Loved the characters, graphics and animations. A fairly long game for a SE with a totally surprising ending. The transporter map at times didn't always work, but it may have been because there was some little detail you didn't pick up on. I did use the hint when this happened to me. I will stress that checking the notes is important. I stalled out on the game once and thought it was a flaw until I checked a blog and found the answer was in my notes...how embarrassing. Highly recommend and you do get your money's worth. Have a ball with this one. I think the negative reviewers need to chill a bit and pull out a sense of humor. Rated 5 out of 5 by kerith90angel from Fun & Funny! I laughed a lot at the funny animals and their uses! Based on Demo..... The first scene has a brain on a pedestal with a baby bonnet and that was so absurd. Right off the bad I wasn't a fan of the graphics either. I prefer deep color, more computer gen graphics. I wasn't sure I would like this game. The more I played the better it got and I found the humor had me laughing every two seconds! You find out you are here to investigate a stolen skull of the King of Dreams. He can change reality to dreams. You are a paranormal investigator & the goal is to find the skull. You are given special glasses to use when you see glowing symbols and you have to match several. I loved this. As the game continues, you get animals for the "zoo". As weird as this game was I was really enjoying all the adorable animals. This DEV has drawing animals down pat! The cut scenes and voice actors were perfect. Under notes is a diary and a (alternative task) jump map. Even the sound effects get an A+. I ended up buying the CE for the SCREENSAVER. I buy loads of these games yet and haven't had a chance to finish this one yet. When I do I will update it under completed CE. If you want to just unload daily stress, play this for a while and laugh! Rated 5 out of 5 by venusiantide from fun fun fun Surprises around every corner. Humorous as well. This game has a unique style all its own. I had a great time with it. I almost didn't buy this game, I'm glad I did. Rated 5 out of 5 by 9otters from What A Crazy, Quirky, Wild, Fun Ride! 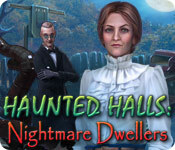 BASED ON COMPLETED GAME I see that several people were disappointed that this game didn't have the creep factor of the previous Haunted Halls offerings. I haven't played the previous games so they weren't an issue for me. Didn't find it to be too creepy. Well, there WAS that one teddy bear...I just KNOW you'll know what I'm talking about when you see it! Anyway, the graphics were FABULOUS. The creatures were NUTS! The brains that came up with this game must have VIVID imaginations! They also MUST have had a blast creating it because it IS a bit "out there". This is a lengthy game but I just COULDN'T STOP playing. Its not really difficult but you may have to think a bit for the "out of the box" solution. GREAT PUZZLES with the option of playing "easy" or "hard". All in all a FUN game. I got Haunted Halls: Nightmare Dwellers with a game credit but would have been DELIGHTED to pay for this one. Hope you get the chance to enjoy it too! Rated 5 out of 5 by Pikelet from Top notch game! I love these haunted halls games and this is no exception. I am just surprised that it hasn't got a higher star rating. I bought the standard game and it was a long one. Great graphics (I love the spooky teapots). The games are pleasantly challenging without causing too much of a headache. I can't wait until the next one is released! Rated 5 out of 5 by Tundrabeast from A Game Done Very Well I really liked this game for a lot of reasons. One was that I had left it alone for maybe 6 months, but between the stratagey guide, and the hint button I was able to get back on board fairly quick without having to start from scratch again. Once I figured where I was I could figure most of it without help again. The graphics are great, but the music gets a bit tiring after a while (Don't you just hate it when those tunes stick with you long after you're done playing?) Otherwise there's a lot of fun levels. By that I mean the developers don't try to be cute and hide things so many levels back that you either get bored running all over the place time and again or you need a walk though to get through. I like a challenge, but I hate a massive hide and go seek just because some programmer wants to be cute. I have the whole Haunted Halls series and will most likely jump on the next addition soon as it comes out too. They really know what they're doing. Rated 5 out of 5 by denniann2 from excellent game after the "fix" my game picked up where i left off when i downloaded the fix and started playing again.you can set how fast the hint and skip buttons charge. the hint system will "hand-hold" if you like. there is a note pad to takes notes. you are once again trying to destroy dr. blackmore and his tentacles. i like all the haunted halls games and this one is no different. sequel????? i believe so!!!!!!!!!!!!!!! Rated 5 out of 5 by BlackWaterRules from Creep Factor is 110 % in This Game Based on the demo From the first cut scene and beyond the creep factor was 110%. Unfortunately in the beginning of the game there was a noticeable cheese factor also. The psychiatrist's address is 5 Cuckoo Lane? Seriously? And the police detective shows up with a box of donuts and a cup of coffee? Seriously? The music/soundtrack is great. The voiceovers are not bad. The graphics are not the way I like them, they were a little lackluster in some places, but it did not detract from gameplay. There are several animals and animal helpers in this game: flamingos, a champagne drinking frog, a little penguin cutout, a bird in a nest, a crab that helps you cut things, a hamster in a birdcage, a cat sleeping on a cushioned couch and a little mouse assistant. They are all a lot of fun and enhance the game. The storyline is excellent if you like dark and creepies as much as I do. 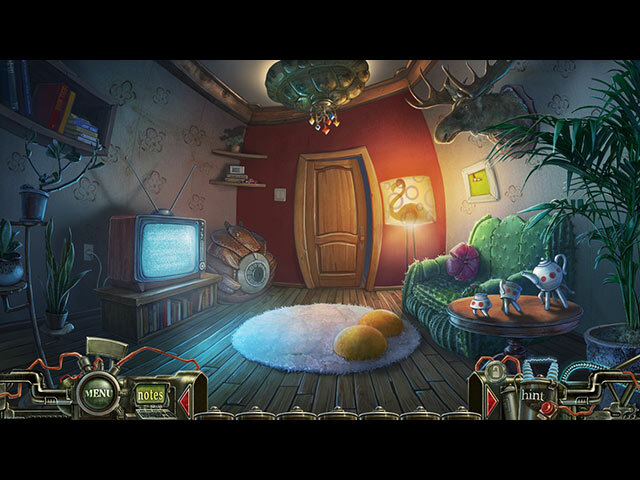 Hidden object scenes are different and interactive, a little on the easy side. Mini puzzles were pretty challenging. I really enjoyed this game. It's a buy for me.